Park 56 Dental has long been known for our enduring commitment to patient safety. It’s why so many New Yorkers trust our sedation dentistry team. Our dentists are certified and licensed to administer intravenous (IV) sedation. This means we’ve undergone intensive training and examination by the state Board of Dental Examiners. This is significant because, in the hands of an untrained, uncertified dentist, IV sedation can be risky. All administering clinicians must have a keen understanding of the actions, dosage, and side effects of sedatives, as well as their appropriate antidotes. Patients receiving sedation dentistry must also be closely monitored by a competent clinician. At Park 56 Dental, our patients’ safety and well-being are our highest priorities, which is why only certified and licensed practitioners administer IV sedation in our practice. If you’re curious about sedation dentistry and live in NYC, give us a call today at (646) 783-3529. Park 56 Dental works with most insurance plans and offers flexible payment arrangements. For years now, Invisalign has been the preferred choice for adolescents and adults of all ages who want to straighten their crooked teeth. This system of clear plastic aligners is an effective way to correct many types and degrees of malocclusion. Since the aligners are made of smooth plastic, they’re much more comfortable than conventional braces. Many people also prefer Invisalign because it’s a discreet treatment choice, regardless of whether or not buttons are necessary. Invisalign buttons, also called Invisalign attachments, are tiny dots of dental bonding material affixed to the teeth. They’re made of the same composite resin material that your cosmetic dentist uses to fill in cavities and repair minor chips. Since the resin is tooth-colored, it’s virtually invisible. It’s important to note that buttons aren’t necessary for every Invisalign patient. Your dentist will develop a customized treatment plan designed to give you the beautiful, healthy smile you deserve. Your dentist can determine whether you’ll need Invisalign attachments when you have your consultation. The purpose of the buttons is to increase the effectiveness of the aligners. Essentially, they act like an anchor to grip the aligner. In doing so, the buttons help to strategically apply the gentle force needed to shift the teeth. Throughout the years that Invisalign has been on the market, its makers have realized that some cases of malocclusion are too complex to be adequately corrected by aligners alone. By introducing Invisalign attachments, they’ve opened the door to Invisalign for dental patients with complex malocclusions who otherwise would be forced to try conventional metal braces. Thanks to these clever and unobtrusive buttons, you won’t have to deal with unsightly metal brackets and wires, even if your teeth prove stubborn to move. 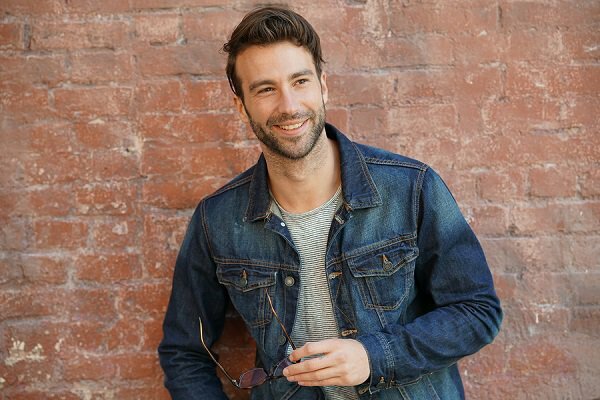 As a certified Invisalign provider, Park 56 Dental is a top choice among residents of NYC who are interested in Invisalign. Call our comfortable dental clinic at (646) 783-3529 to request our next available appointment. You deserve a beautiful, straight smile you can be proud of! Babies are born with a natural sucking reflex. It’s what allows them to feed. But even when they aren’t drinking milk or formula, sucking on the thumbs helps babies feel calm and secure. To accommodate the sucking reflex and to soothe a fussy baby, most parents provide pacifiers. It’s your decision (and your baby’s) whether to provide a pacifier or not. You can always talk to the pediatrician for guidance. And if you’re at all concerned that your child is using a pacifier for too long, don’t hesitate to speak with the dentist . Remember that kids need to see a dentist for a first visit no later than their first birthday, or as soon as their first tooth erupts. There are definitely many advantages to giving your baby a pacifier. The risk of sudden infant death syndrome (SIDS) is highest from birth until six months. Pacifier use during this time may help reduce the risk of SIDS. Additionally, pacifiers can help calm down a crying baby, distract babies while they’re getting shots, and help babies equalize ear pressure during air travel. Pacifiers can indeed cause problems with oral development when they’re used too late in a child’s life. 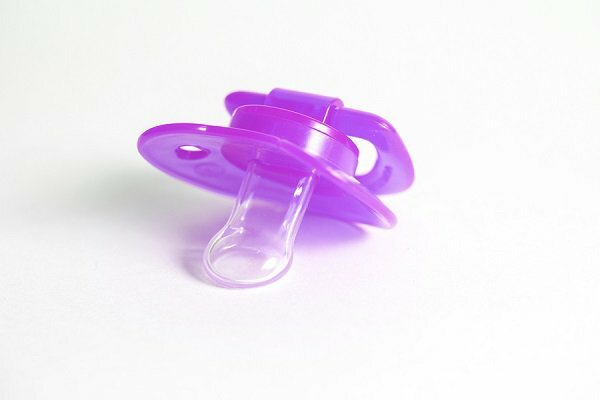 Some dentists recommend trying to wean kids off their pacifiers by the second birthday. If they give up the pacifier by age two , oral development problems can usually self-correct. After this point, self-correction is harder, and problems can persist or worsen. In addition, prolonged pacifier use can increase the risk of recurrent middle ear infections. Very early pacifier use can interfere with healthy breastfeeding behaviors. And if your baby becomes too dependent on pacifiers to fall asleep, he or she may be unable to get back to sleep after awakening when the pacifier falls out. The friendly team at Park 56 Dental is always excited to welcome new pediatric patients to our dental office in NYC. It’s our mission to help kids feel at ease in the dentist’s chair so that they are encouraged to pursue lifelong oral health! You can get in touch at (646) 783-3529 to schedule your child’s dentist appointment. 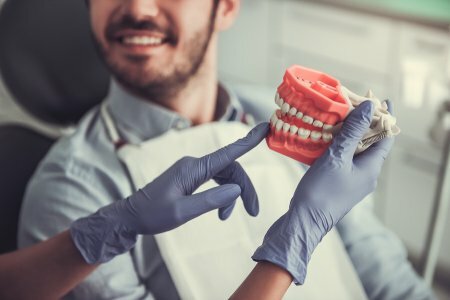 Is Sedation Dentistry Appropriate for Root Canals? Root canals have an undeserved reputation for being painful procedures. In fact, they allow dentists to save a failing natural tooth, rather than having to extract it. They’re also pain-free, thanks to local numbing medications. But many people still have anxiety about dental treatments in general and root canal procedures in particular. That’s why dentists often recommend sedation dentistry. Sedation dentistry is definitely appropriate for root canal patients. Different medications can be used to achieve a mild, moderate, or deep level of sedation. Your dentist will work with you to identify the most appropriate option for you. You’ll also need to disclose your full health history to make sure the medications are safe for you to use. You’ll find a full menu of services at Park 56 Dental, including comfortable, pain-free root canals with sedation dentistry. If you’ve been told you need a root canal procedure and you live in NYC, give us a call today at (646) 783-3529.